Gettysburg Licensed Battlefield Guide Charlie Fennell is standing by the advance marker to the 2nd Maryland Battalion (CSA) located near the saddle between Culp’s Hill and Lower Culp’s Hill/Spangler’s Hill. This view was taken facing southeast at approximately 10:00 AM on Sunday, May 17, 2009. 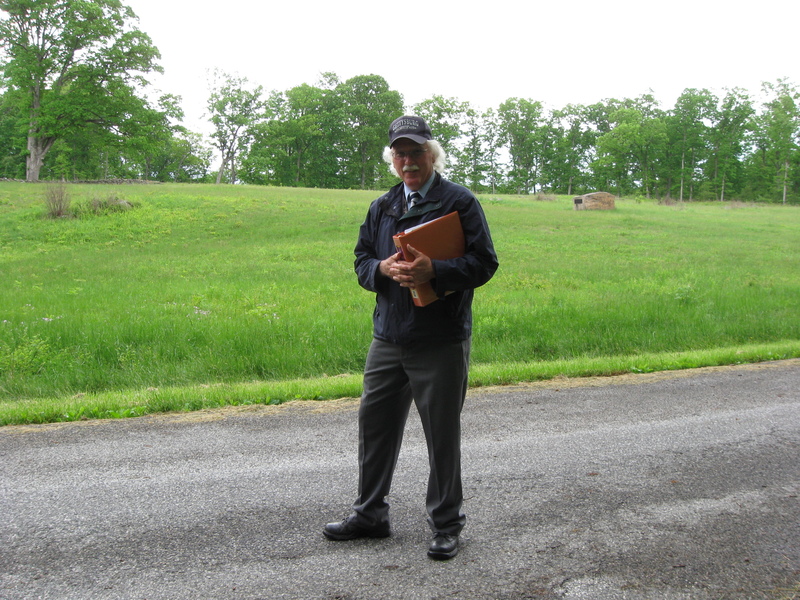 Our Culp’s Hill series is led by Gettysburg Licensed Battlefield Guide Dr. Charles Fennell. Dr. Fennell received his Ph.D. in history from West Virginia University in 1992. His dissertation was titled, “The Battle of Culp’s Hill.” In our first post on Culp’s Hill, he began our tour at the summit, near the observation tower. In our second post he continued his walk around Culp’s Hill by discussing the position of the 60th New York Infantry Regiment. In our third post he looked at the earthworks in the area of the monuments to the 150th New York Infantry Regiment and the 78th and 102nd New York Infantry Regiments. In our fourth post, Charlie showed us the monuments to the 149th and 137th New York Infantry Regiments, and discusses some of their actions. 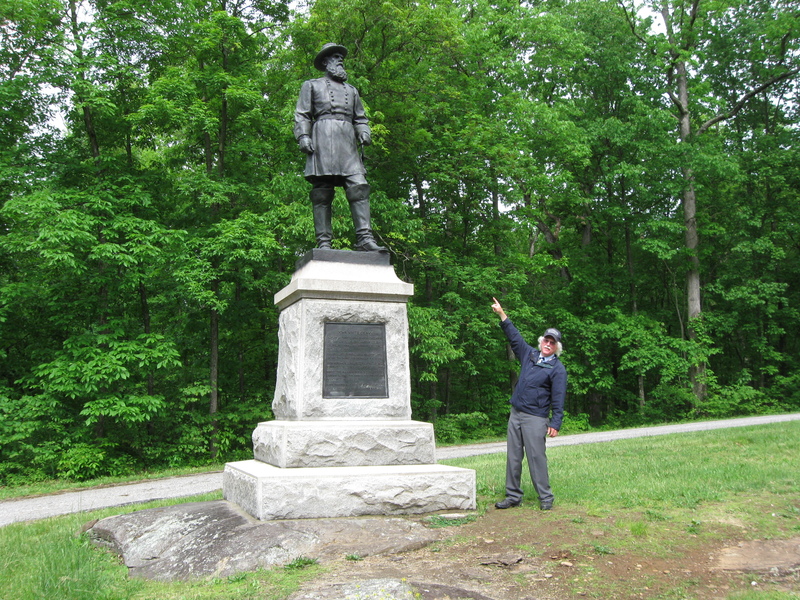 In our fifth post, Dr. Fennell showed us the 137th New York’s position on lower Culp’s Hill/Spangler’s Hill and the monument to the 2nd Maryland Infantry Regiment (CSA). In our sixth post we looked at the fighting at Spangler’s Meadow on the morning of July 3, 1863. In our seventh post we looked at the Union line on Lower Culp’s Hill/Spangler’s Hill before the Union troops abandoned it on July 2, 1863, and the beginning of the fighting at Pardee Field on July 3, 1863. In today’s post Charlie shows us the Confederate attack across Pardee Field on July 3, 1863, and sums up why he thinks the fighting at Culp’s Hill was important. 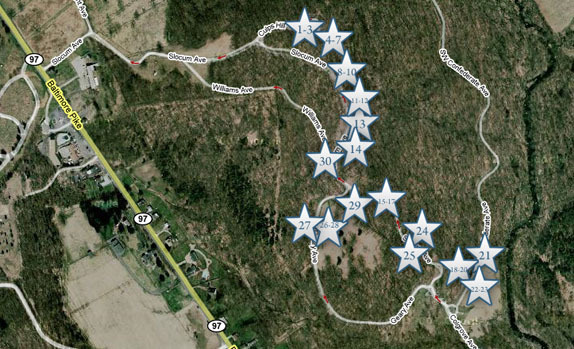 This map will show the locations of the videos we will show on the tour. Videos #1-#3 were taken on the summit of Culp’s Hill near the observation tower. Videos #4-#7 were taken near the monument to the 60th New York Infantry Regiment. Videos #8-#10 were taken between the monuments to the 150th New York and the 78th/102nd New York Infantry Regiments. Videos #11-#12 were taken by the monument to the 149th New York Infantry Regiment. Video #13 was taken near the monument to the 137th New York Infantry Regiment. Video #14 was taken near the marker for the 84th New York (14th Brooklyn) Infantry Regiment. Videos #15-#17 were taken on or near lower Culp’s Hill/Spangler’s Hill. Videos #s 18-20 were taken on the Coble Rock overlooking Spangler’s Meadow. 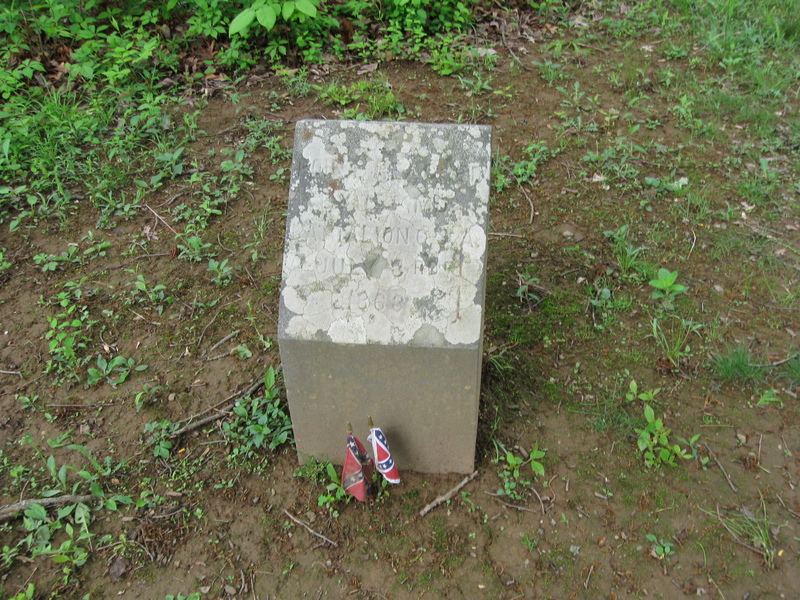 Video #21 was taken at the Smith Brigade Marker on the north side of Spangler’s Meadow. 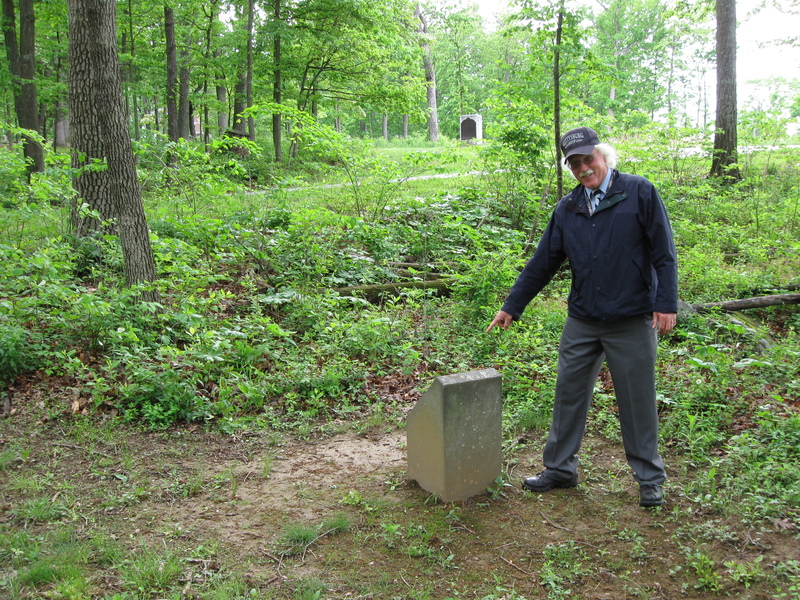 Videos #s 22-23 were taken at the advance marker for the 27th Indiana Infantry regiment. Video #24 was taken at the monument to the 20th Connecticut Infantry Regiment. Video #25 was taken across Slocum Avenue from the 20th Connecticut. Videos #26 and #28 was taken on Geary Avenue near Pardee Field. Video #27 was taken west of Geary Avenue and behind the monument to the 5th Ohio Infantry Regiment. 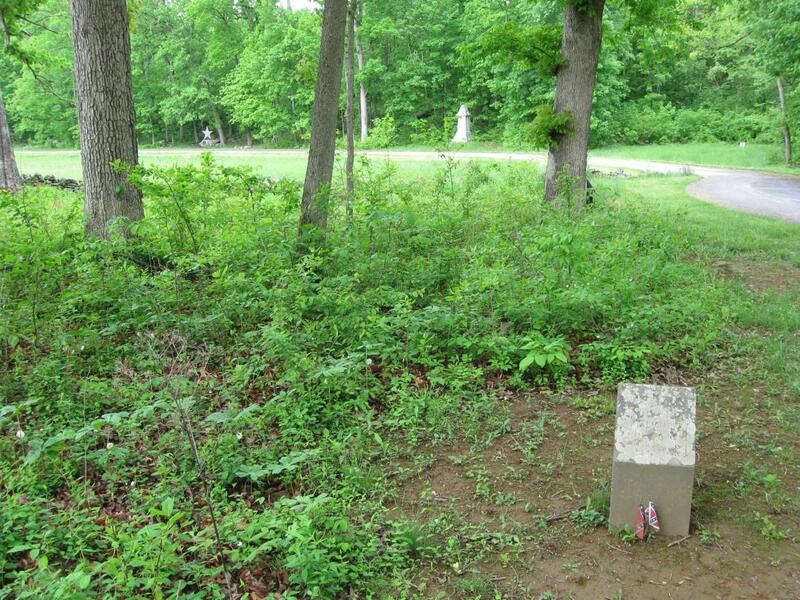 Video #29 was taken at the forward marker for the 2nd Maryland Infantry Regiment (CSA). Video #30 was taken near the monument to John White Geary. This map was created facing north at approximately 6:30 PM on Sunday, June 21, 2009. Licensed Battlefield Guide Dr. Charles Fennell is standing on Geary Avenue east of the monument to the 5th Ohio Infantry Regiment. Pardee Field is in the background. The Pardee Rock is in the field in the right background. This view was taken facing east at approximately 10:00 AM on Sunday, May 17, 2009. In Video #28 (Videos #s 1-27 were shown in the previous posts on Culp’s Hill), Charlie Fennell shows explains how Confederates attacked across Pardee Field on July 3, 1863. This view was taken facing east at approximately 10:00 AM on Sunday, May 17, 2009. The forward marker of the 1st Maryland Infantry Regiment (CSA). In the background, west of Geary Avenue, are the monuments to the 147th Pennsylvania Infantry (on the left) and the 5th Ohio Infantry Regiment (on the right). This view was taken facing west at approximately 10:00 AM on Sunday, May 17, 2009. A closer view of the marker for the 1st Maryland Infantry Regiment (CSA). This view was taken facing west at approximately 10:00 AM on Sunday, May 17, 2009. In video #29, Dr. Fennell tells the story of how one soldiers’ life in the 1st Maryland (CSA) ended on July 3, 1863. This view was taken facing southeast to west at approximately 10:00 AM on Sunday, May 17, 2009. In case you can’t see it, Charlie is pointing to the monument to United States Brigadier-General John White Geary. This view was taken facing northwest at approximately 10:00 AM on Sunday, May 17, 2009. In video #30, Charlie Fennell talks about the aftermath of the fighting of Culp’s Hill, and sums up its importance. This view was taken facing north to northeast at approximately 10:00 AM on Sunday, May 17, 2009.